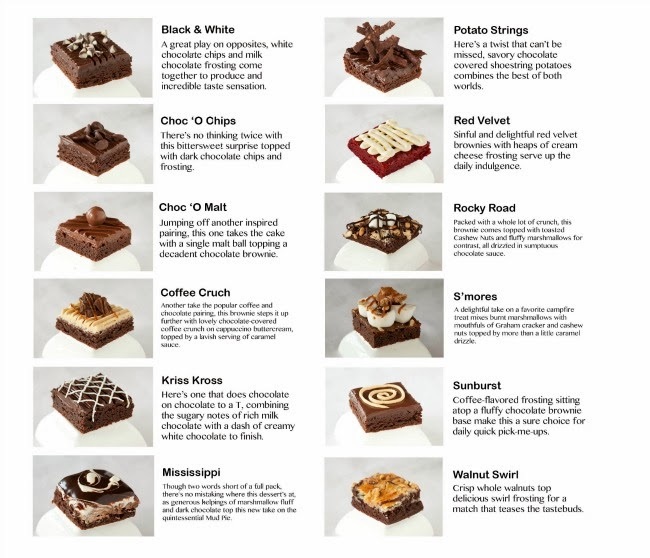 new flavors from brownies unlimited! International Brownie Day is right around the corner and Brownies! Unlimited is getting ready to serve it up! 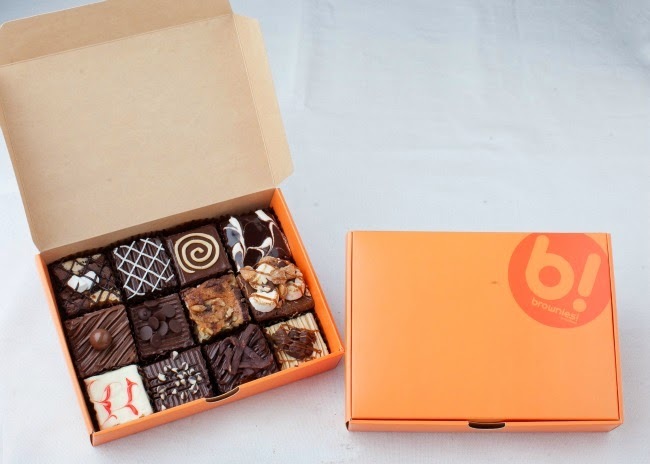 Twelve better, bolder, freshly made brownie combos are, up for grabs, and sure to satisfy any sweet tooth out there. Brownies! Unlimited revamps their range of choices and packaging to deliver another batch of treats that emerge as the go-to snack for any occasion. Packed with a whole lot of crunch, this brownie comes topped with toasted Cashew Nuts and fluffy marshmallows for contrast, all drizzled in sumptuous chocolate sauce. Here’s one that does chocolate on chocolate to a T, combining the sugary notes of rich milk chocolate with a dash of creamy white chocolate to finish. Coffee-flavored frosting sitting atop a fluffy chocolate brownie base make this a sure choice for daily quick pick-me-ups. Here’s a twist that can’t be missed, savory chocolate covered shoestring potatoes combines the best of both worlds. Though two words short of a full pack, there’s no mistaking where this dessert’s at, as generous helpings of marshmallow fluff and dark chocolate top this new take on the quintessential Mud Pie. A great play on opposites, white chocolate chips and milk chocolate frosting come together to produce and incredible taste sensation. There’s no thinking twice with this bittersweet surprise topped with dark chocolate chips and frosting. Crisp whole walnuts top delicious swirl frosting for a match that teases the tastebuds. Jumping off another inspired pairing, this one takes the cake with a single malt ball topping a decadent chocolate brownie. Another take the popular coffee and chocolate pairing, this brownie steps it up further with lovely chocolate-covered coffee crunch on cappuccino buttercream, topped by a lavish serving of caramel sauce. A delightful take on a favorite campfire treat mixes burnt marshmallows with mouthfuls of Graham cracker and cashew nuts topped by more than a little caramel drizzle. Sinful and delightful red velvet brownies with heaps of cream cheese frosting serve up the daily indulgence.